Sure people love to travel at new places in the world. And while you are planning on managing and saving your money to plan a trip to your dream city; you don’t know there are hotels in the world that are made to provide staying facilities for only a few lucky people in the world. The only thing that has been making these people staying in these hotels is money since these hotels charge a lot of money even for just a night in their suit. Royalty lies not only in the name but in the components of this suite too. The charges for one day check in this suite are $22,900. Not only this suite provides you Hermes bath products combined with a five head shower for an unparallel bathing experience but it also keeps utmost care with your sleeping arrangement. There are 17 types of pillows in the suite with a four posted rotating bed along with full size Jacuzzis and to top things up there is a private butler and a 24 carat gold plated iPad at your service. The restaurant in the hotel named Al Mahara is an undersea restaurant. To enjoy the heavenly experience in this suite you need to have a sum of $25000 for one day to be charged. This suite is located on the 53rd floor and that too on the tallest building of the city. It offers a four poster king size bed along with Frette Linens. The bathroom provides awesome bathing experience with rainforest shower heads and is fully made of marbles. From inside the suite; one can enjoy the best views from the Shinjuku skyline. With this suite; the hotel administration provides one with a facility of 3 bathrooms and 3 bedrooms. From here one can enjoy the views of the Pulitzer Fountain and the Fifth Avenue. The room’s luxury constituents are inspired from Louis XV’s royal court. The charges for this room are $30000 for a day and it also provides you with a living room with a grand piano, a private library, formal entertainment room and a dining room that can seat up to 12 guests. This one is more of a resort and the most striking and distinguishing thing about it is that you have to seek permission via an application for staying in this hotel. To your relief however; even though you are asking for their permission to pay them $40000 for your stay; everything else including gourmet food, champagne, beach horse riding and the welcome spa massage are included in this price. This one comes at releasing $40000 from your wallet for a one night stay. The facilities in this room include, 24 hour butler service, dry sauna, 12 person glass enclosed Jacuzzi pool from where you can have a look at the very beautiful and magnificent Vegas strip. Also in this 9,000 square feet suite there are private terraces, private glass elevators, a massage and a fitness room. Well if these features can’t get this suite a place in the list of most expensive suites in the world; I wonder what will. 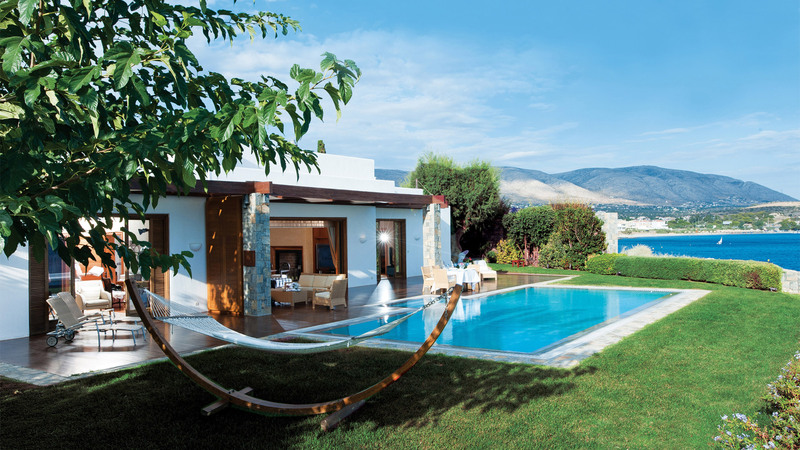 Now this one is in the beautiful lands of Athens and is a southern peninsula villa which offers a beautiful view of Aegean Sea. This view however can be enjoyed from your very own all weather suited, heated pools. The charges for a night in this suite are $45000 and it provides 2 master bedrooms with a private quarter for the butler. Both the bedrooms have marble equipped oversized bathrooms having their own steam baths and also a fireplace in both the rooms. Here is yet another Hotel Suite from NY that found place in this list. The charges for one night in this Suite are $45000 and there are numerous things that make hotel charge the customer this much for this room. The suite took seven years to build and its costing came up to $50 millions. The facilities in the room include 18th century Japanese silk pillows, chauffeured Rolls Royce, art concierge, invisible audio system, spa room, extensive library, personal trainer and 24 hour butler service. Other than these there are floor to ceiling glass windows and 4 glass balconies that are giving a perfect view of the beautiful skyline and other beautiful views. How can things not be extraordinary and utterly expensive at a place where the world famous film festival takes place? The recipe to this room includes 2 saunas and 4 bathrooms that have been equipped with its own Turkish bath/shower and hydrotherapy baths. Then there are 2 studies, four bedrooms and two dining and lounge rooms. Then moving up to the terrace it has 2 rooftop gardens with each having a Jacuzzi and are offering a magnificent view of the Bay of Cannes. The charges for all this are $51800 per night and with these charges you can count on it to be coming in the list of most expensive suites in the world. Now this one definitely has to give you an ambience and feel of how emperors lived their lives. The charges for making a 24 hour stay here are $60000 per night. Not only there are 6 bedrooms in the suite; there is also a library, a private theater, a private kitchen staff and an astrology room. In addition there are 3 sided infinity pool and 24000 square feet landscaped terrace garden to increase the beauty of the hotel. Being in the heritage city and with so much attributes is sure to make it one of the most expensive suites in world. Here we got our first place securer and winner. The hotel charges a whopping $83200 per night. And in return gives you a suite with 12 marble bathrooms and 12 bedrooms. And then you have a terrace that gives you the most beautiful view on the earth; of the Lake Geneva and Swiss Alps; A visual that has inspired various musicians and poets over the years. Now while most of the hotels in this list are providing you with a private butler and chef. With this suite you will also get a private staff with a personal assistant to make sure that every wish of yours is fulfilled. 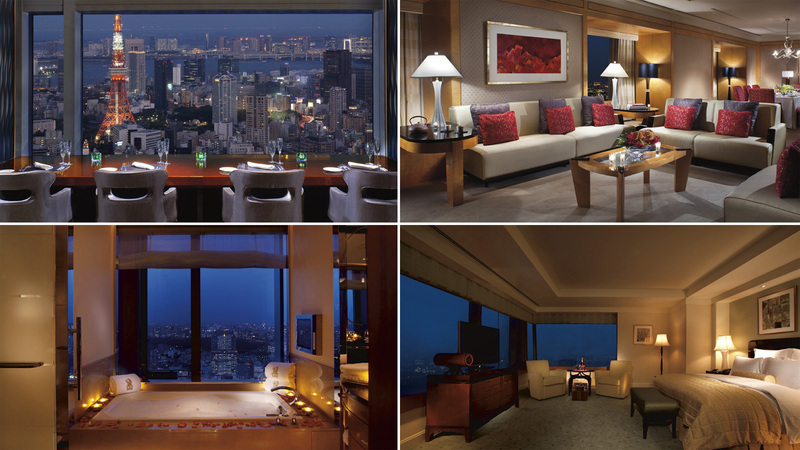 So these were some of the most expensive hotel rooms or suits in the world. Definitely we all give a thought about our accommodations when we plan to travel to a particular place. But these suites are the ones that will cost you way more than your travel charges. But yeah may be these can work as an inspiration for people who want to have such experiences in life.